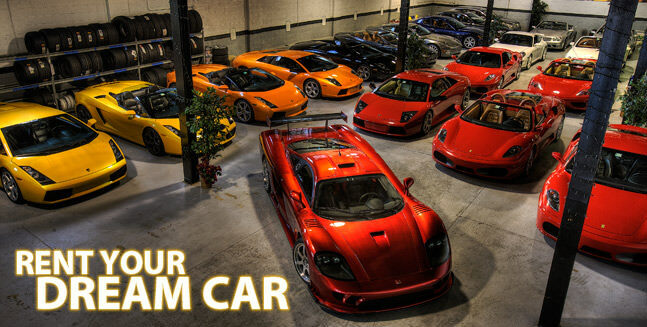 First of all, it is very important that you find a professional sports car rental company. There are a lot of shady companies out there who will give you rental prices that seem too good to be true. But if something seems too good to be true, most of the time there is something wrong with it, especially in the sports car market. So better check these offers twice. In some cases, these supercars didn´t even have the proper insurance, so in case of an accident, you take the risk to ruin your life in terms of your financial situation. Some company also try to trick you with the deposit, and will claim scratches or damages that „did not exist before your rental“. So again be very careful if prices seem a bit too fair. Then you should also check the company´s service quality. A good sports car rental company will give you transparent prices, answer all your questions and will help you out with some individual preferences, like a delivery & pickup to a certain location and so on. For some people out there this is quite easy to answer, but still, you should ask yourself which supercar you want to drive? If there´s not the „one&only“ car for you, take some aspects into your consideration. How long will you rent the car and what are you going to do with it? If you are planning to do some long tours a Lamborghini may be fun of course, but quite uncomfortable as well. In this case, renting a Porsche 911 may be a better option. Porsche delivers an unmistakable driving experience as well and you will still have a decent amount of comfort. On the other hand, if you just want to drive around town and have some fun with the car, a Lamborghini or Ferrari will catch far more attention. So make sure you choose a car that fits your plans. You should also be aware of how many kilometers you want to drive with the sports car. Booking kilometers in advance will give you a cheaper price and can save you some money, paying for extra kilometers after the rental is far more expensive. If you know which sports car and which company you want to choose, consider where do you want to start your rental and when to do so. During summer you´ll have to book early enough in advance, otherwise, it might get tricky to get a car for your preferred date. During the colder months, the weather can cause some problems as well. Most companies won´t rent their cars if it´s snowy or icy outside. The best tip we can give is to either book early enough or choose some beautiful days during spring or autumn. You will have pretty good chances to spontaneously rent a supercar in these times. Plus you may be lucky and get some discounts as well since it´s off-season.